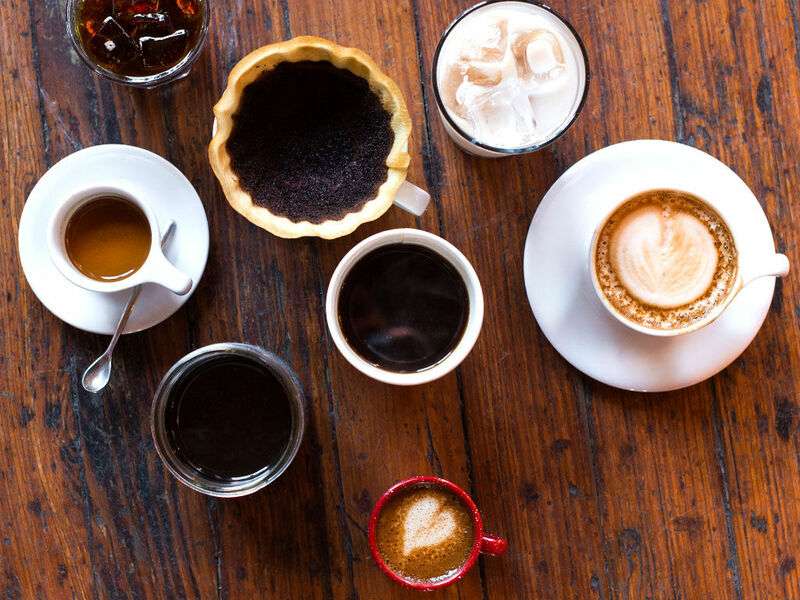 Coffee snobs rejoice! It’s never been easier to roast coffee at home, the results are outstanding. So put down that RMB 45 Americano. Here’s how to achieve a well roasted, single origin whole bean tastier and cheaper than most store-bought beans. First, the oven. Buy a fairly large, inexpensive electric toaster oven. Make sure you can adjust the dial to over 200 degrees Celsius and can control the use of both the top and bottom coil. This RMB 289 Midea oven is a good choice. Set it up in a well ventilated area, like an enclosed balcony with an outlet. Green beans can be bought off of JD from Xidou, a Shanghai based single origin coffee company. (LINK) They have many choices for beans, starting at around RMB 27 for a half kilo. When beginning, I recommend sticking with cheaper, easier to roast beans to learn proper technique. Good starter choices available on Xidou are Brazilian Santos, Yunnan AA, and Ethiopian Djimma. Your first few roasts will be imperfect, but, like with any skill, practice makes perfect. Poorly roasted beans are still fine to drink anyway. Just remember that lighter roasts have higher amounts of caffeine. Now, on to the actual roast. Place the oven pan inside and set the oven to the highest temperature with both top and bottom coils turned on. Allow to preheat for thirty minutes; you need a very hot pan. With steady oven mitts, remove the pan and add about two cups of coffee beans , or until pan is spread evenly with beans. Put back in hot oven and start a timer. Listen for the first crack (it’s a light sound but you’ll know it when you hear it), which should be after 1-3 minutes, and once you hear it, agitate the beans by rocking the pan back and forth. Allow to roast until beans are a cinnamon color, then agitate again. Agitate three or four times per roast. Make sure the beans are being roasted more or less evenly. Once you hear the faint murmur of a second crack, remove beans and inspect. They should be a mostly even, dark brown. Look at the color chart about to make sure you are getting it right. I usually shoot for around 9-11. Occasional lighter beans or burnt beans are fine, but if the roast has many different, uneven shades, your oven is probably too hot and/or it was not agitated enough. Check your timer, and aim to finish the roast in 5-8 minutes. If the time drags further, you are either not preheating enough or using too many beans. If you’re satisfied with the roast, add the hot beans to a metal colander and begin the next batch. You can roast a half kilo in under 25 minutes. Keep beans uncovered in the colander and allow to cool for several hours before using or storing. So that’s it! A few final notes. 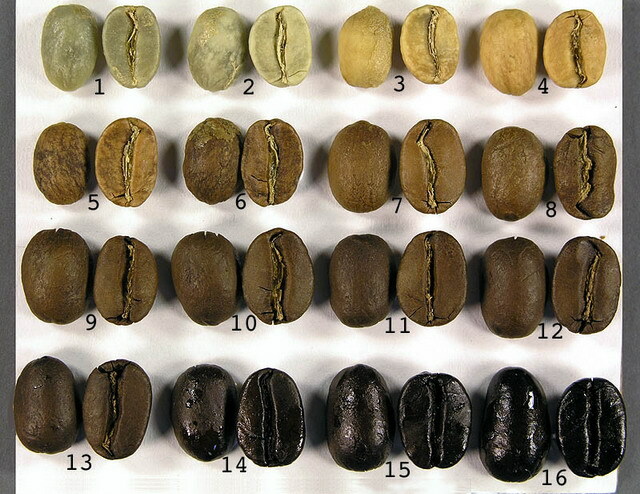 Different beans react differently, so feel free to experiment. Everyone has their own method, so check online video tutorials as well. As for brewing the coffee, keep it simple with a pour over. A conical filter, filter papers and a thermos or tea pot are really all you really need for incredible 3rd wave coffee at home. Cold brew is a nice theme for summer as well. Whatever methods you choose, Happy Coffeeing!